Brand New Magnificent CUSTOM Single-Story Spanish Colonial Estate. This beautiful home is one of three new homes currently under construction with expected completion in Jan/Feb 2019. It is an absolute masterpiece! Hidden away on a level 19,000 sq ft lot at the very end of a secluded Cul de sac in an exclusive private gated community of just 7 homes. Dramatic 20 ft high Entry Hall, Gourmet Kitchen with large Nook, Butler's Pantry and walk-in Pantry opens to a huge Great Room with fireplace and French doors leading to the patio and back yard, Formal Living Room, Formal Dining Room, Master Bedroom with fireplace, Master Bath with his & hers sinks, massive walk-in Closet, three secondary Bedrooms, Powder Room and Laundry Room. 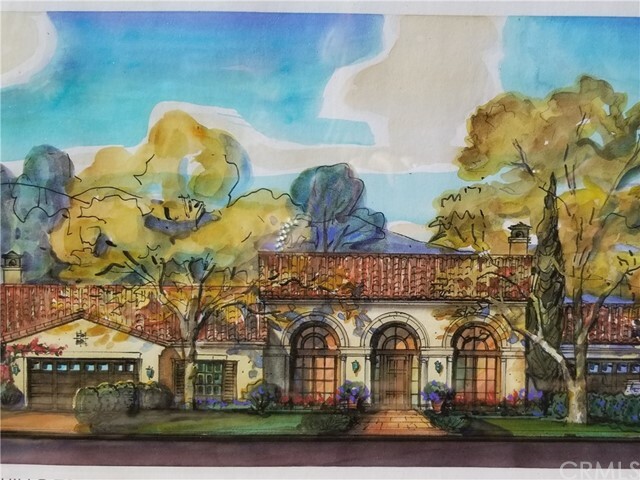 Other features include exquisite cabinetry, tankless hot water, over 500 sq feet of covered patio area, 4 car garage, smooth stucco, custom wood front door and garage doors, Front yard landscaping will be included and the large back yard will have lots of room for pool, outdoor kitchen and more for true resort living.